Colombia’s Caribbean coast has the power to capture and hold the attention of all travelers. Bathed in sun, fringed with beautiful beaches and having historical significance, Colombia is a must for travelers. So why don’t you plan a visit to the sunny beaches of Colombia and let TCE take care of your currency exchange. The Peso is the official currency of Colombia. Its symbol is $ and it is informally abbreviated as COL$. 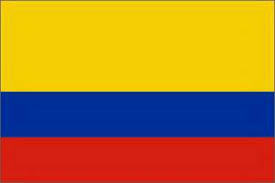 It has been the currency of Colombia since 1810. It replaced the Real at a rate of 1 Peso= 8 Reales. Currently, each Peso is divided into 100 Centavos. TCE offers the best exchange rates to its customers, without any hidden charges. The rates are unmatched and are not offered by any other bank or exchange bureau in Canada. The expertise and services offered by TCE are unique and ensure customer satisfaction. Going somewhere in an emergency means that you need to save as much time as possible. With the online ordering facility, you can easily make a payment using your Interac debit card and pick up your currency at any of our stores. With the option of home delivery, you get to save time. The home delivery is through Canada post. It is quick and reliable and takes only two business days to deliver your package.